Email marketing is a powerful channel for lead generation so, if you don't have a strong email marketing foundation, it's time to start building one. Download this free ebook and use the best practices shared here as a roadmap to achieve email marketing success for your business. The top challenges email marketers face and how to solve them. The types of marketing emails you can send. 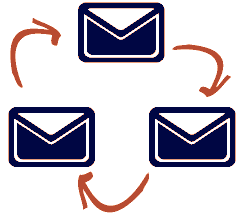 Which email marketing metrics to monitor ... and why.